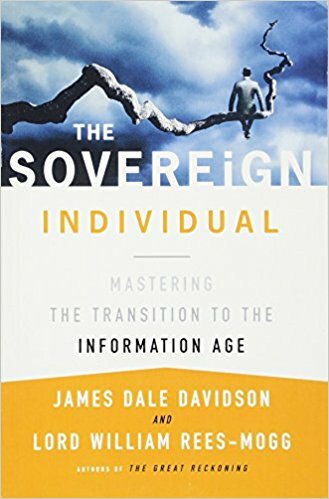 The Sovereign Individual—written 20 years ago, this is the most thought provoking book on the unfolding nature of the 21st Century that I’ve yet read. It’s packed with ideas on every page, many that are now fast becoming conventional wisdom, and many that are still heretical. Two related books to read are The Twilight of Sovereignty and Cryptonomicon. Few observers of the late twentieth century have their fingers so presciently on the pulse of the global political and economic realignment ushering in the new millennium as do James Dale Davidson and Lord William Rees-Mogg. Their bold prediction of disaster on Wall Street in Blood in the Streets was borne out by Black Tuesday. In their ensuing bestseller, The Great Reckoning, published just weeks before the coup attempt against Gorbachev, they analyzed the pending collapse of the Soviet Union and foretold the civil war in Yugoslavia and other events that have proved to be among the most searing developments of the past few years.